My daughter’s class celebrated the end of this academic year with a theater production. It was especially exciting for my daughter because she was chosen for the role of Cinderella. The play itself was a mix of classic fairy tales with plenty of modern twists, and her character had a snobbish personality. But that did not bother my daughter. At last! The role of a ‘princess’ after having performed several not-so-royal roles in the past, including that of an annoyingly chatty bird and a rat that drowns in a river. 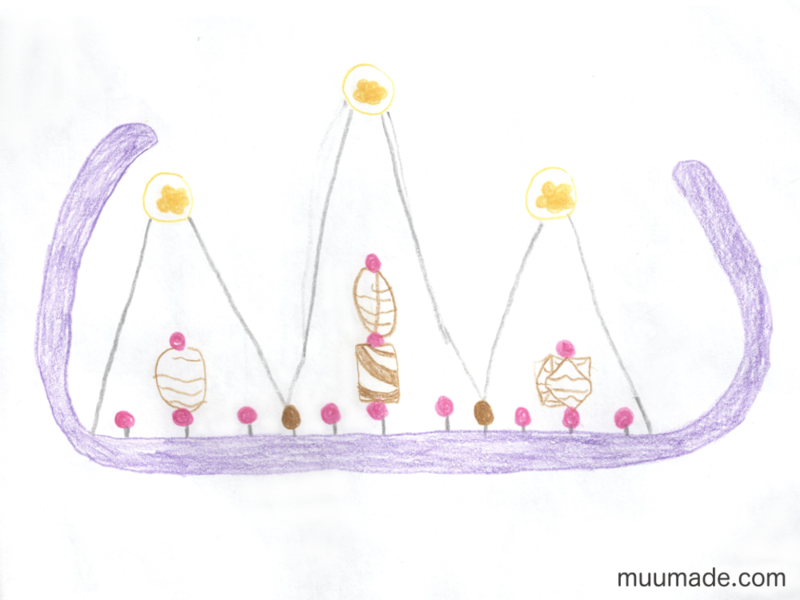 The day on which Cinderella’s role became hers, she made a sketch of the crown of her dreams and asked me to make it for her. 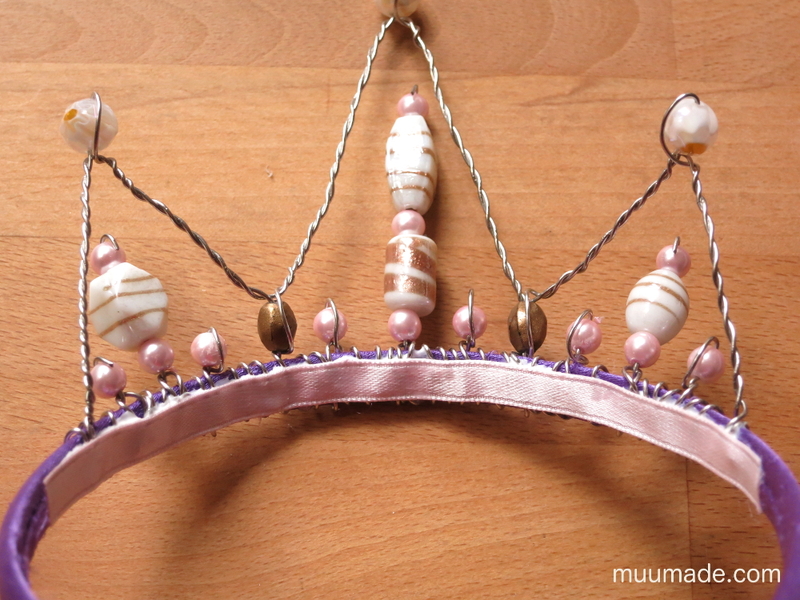 To make the Cinderella Crown, I used 0.8mm (20 gauge) stainless steel wire and a variety of beads to decorate a plain headband. 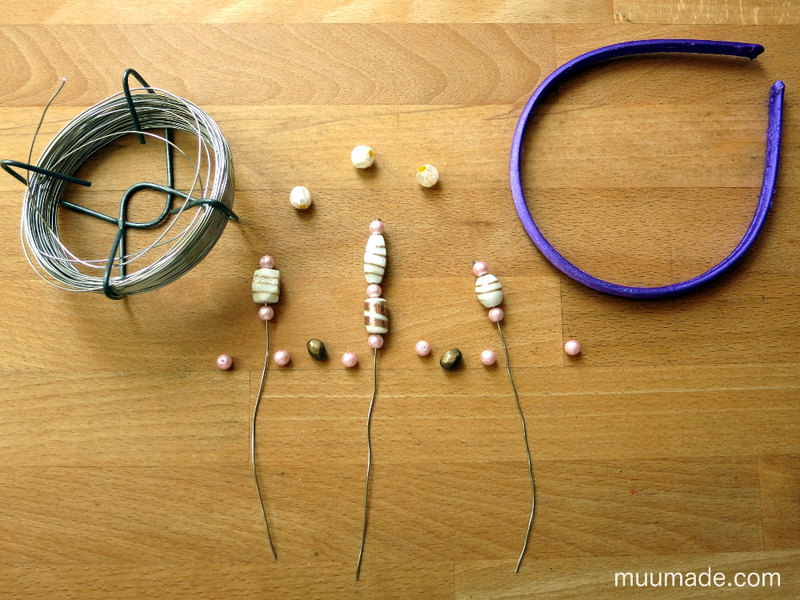 I first made separate wire strands with beads at their ends. 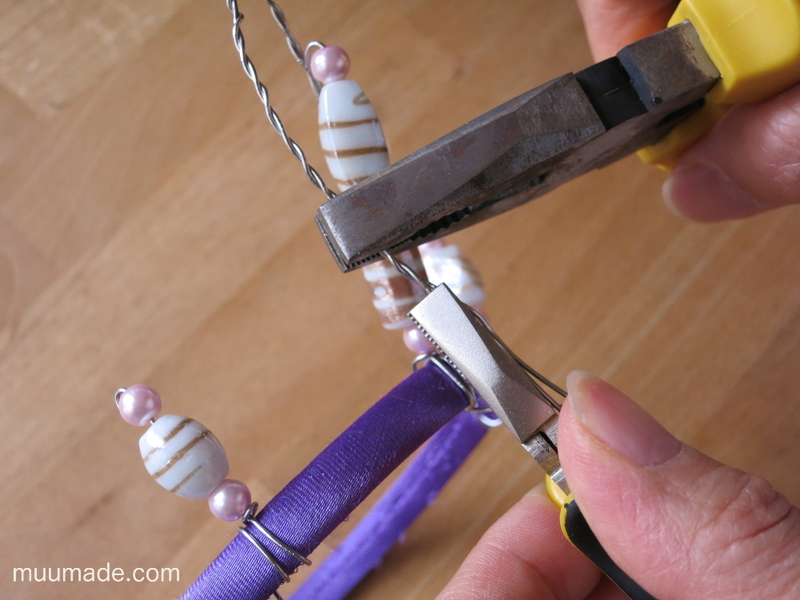 At this point, it is important to leave the loose ends of the wire generously long, as this will allow you to wind them onto the headband later. The 0.8mm stainless steel wire is thin enough to be flexible but thick enough to maintain its form once shaped. I use a few different types of jeweler’s pliers to work with the wire: chain nose, blunt nose, round nose, and diagonal cutters. 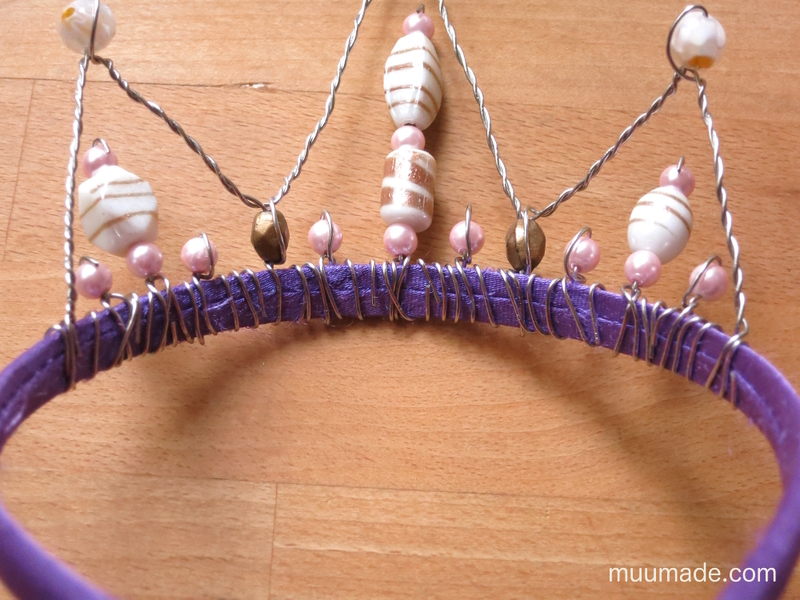 When winding the loose ends onto the headband, do so as tightly as you can. After winding them by hand, press them down against the headband with a pair of blunt nose pliers. 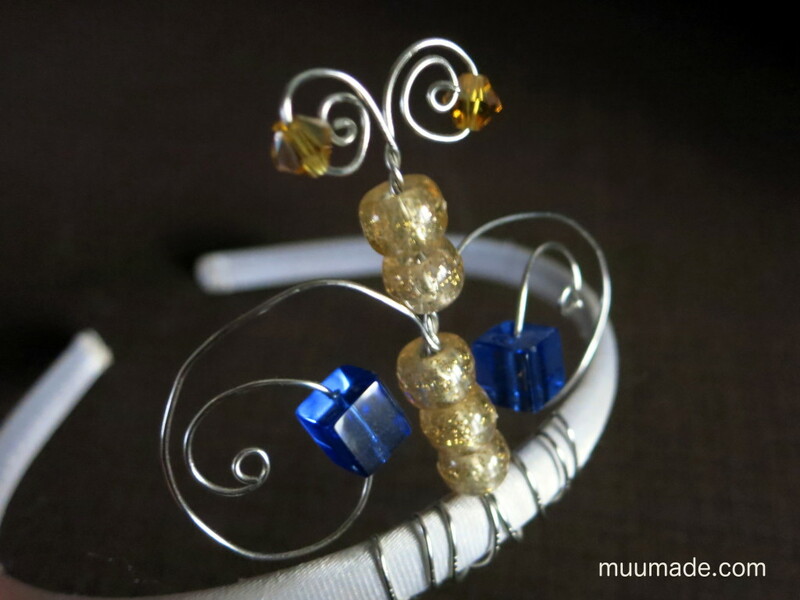 As shown above, after you are finished, there is quite a bit of wire wrapped around the headband. 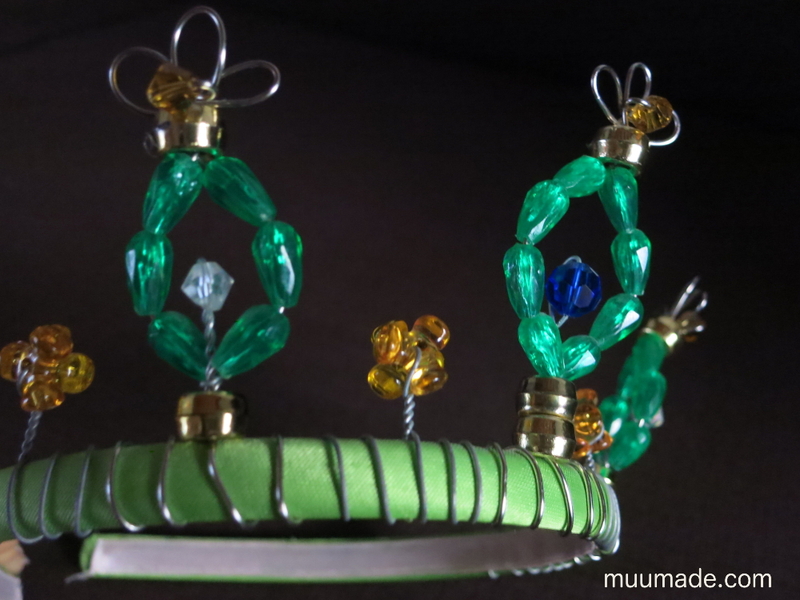 I prefer to have the long loose wires wound many times around the headband to ensure that the decorative pieces stay in place. 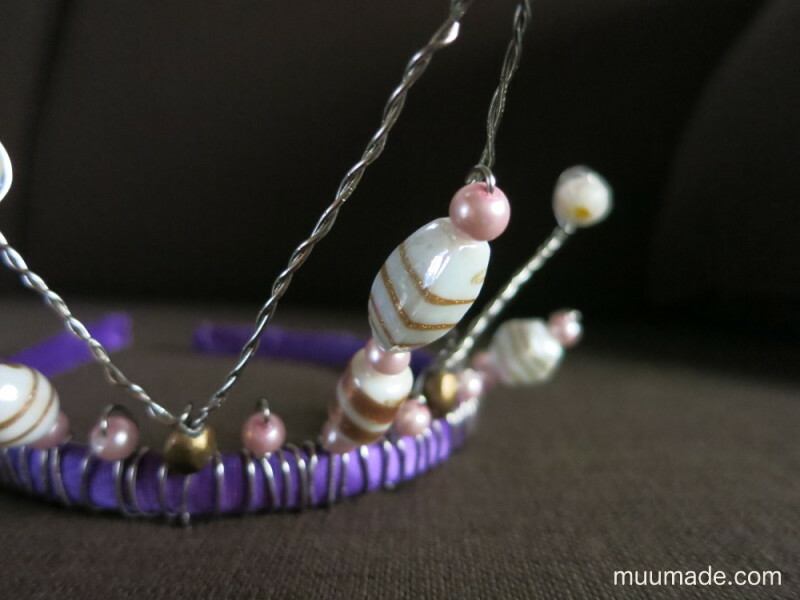 When you are finished with all the winding, you can trim off any excess wire. Even after cutting off the loose wires, their ends can still be pointy. So, I cover the entire inner edge of the wound wire with a strip of ribbon, which can be glued on with craft glue. 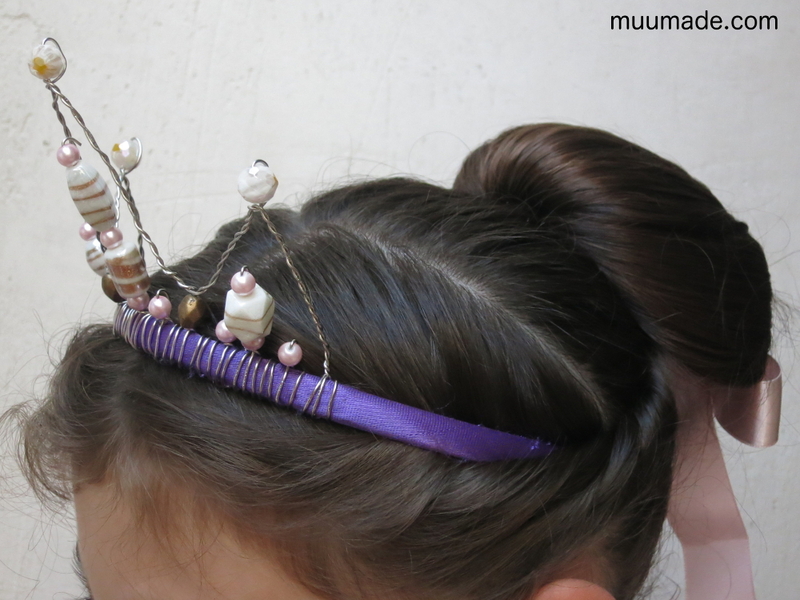 With her crown, my daughter was quite a happy Cinderella! Working with wire may seem intimidating at first. But once you start bending and twisting, the shiny and pretty forms invite you to keep working until you have tamed them into the elegant shapes that they seem to know they deserve. 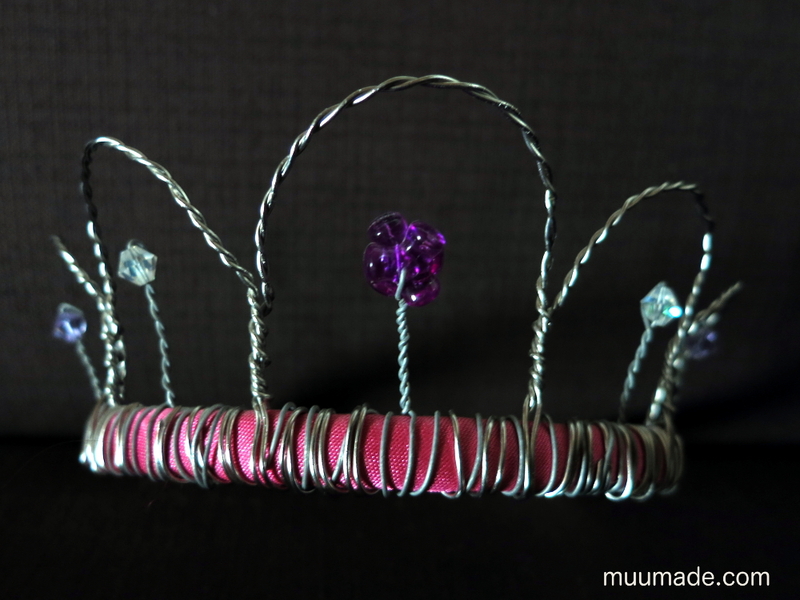 To share your own wire crown creations, please visit Muumade’s Gallery.